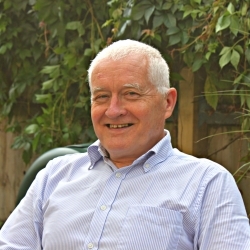 Stephen Lister has over thirty years’ consultancy experience. His areas of special interest include aid effectiveness, public financial management and education. In recent years he has increasingly focused on evaluations. He has led evaluation teams for assessments in individual countries as well as for very large-scale and high-profile cross-country studies, including the Independent Comprehensive Evaluation of the SUN (Scaling Up Nutrition) Movement, the mid-term review of the Education for All Fast Track Initiative (FTI), the OECD DAC joint evaluation of general budget support, long-term reviews of Danish aid in Uganda and Mozambique, a ten-country study of experiences in putting aid on budget, and evaluations of WFP’s school-feeding and nutrition policies. He has experience across Africa, as well as in Asia, the Pacific and transition countries.